LISTEN NOW! The persecution of Christians that is being described as “genocide” throughout the Middle East has been repeatedly shared through the media airwaves in the recent months. It is simple to disconnect from these truths when such realities in someone else’s life are only images on our television screens, phones, and tablets. How different would it be to hear about it from the very voice of one who has encountered and witnessed first-hand the brutality of ISIS? This is exactly the reality for Sister Dianna Momeka. Glenn Beck and The Blaze, were also part of the process of getting Sister Momeka through the red tape of refusal into the country. 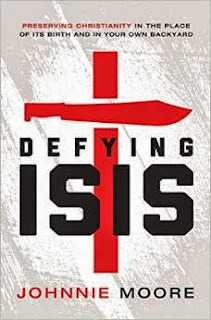 In a Blaze interview with Johnnie Moore, author of Defying ISIS, Moore additionally shares some of the words that were shared to him. 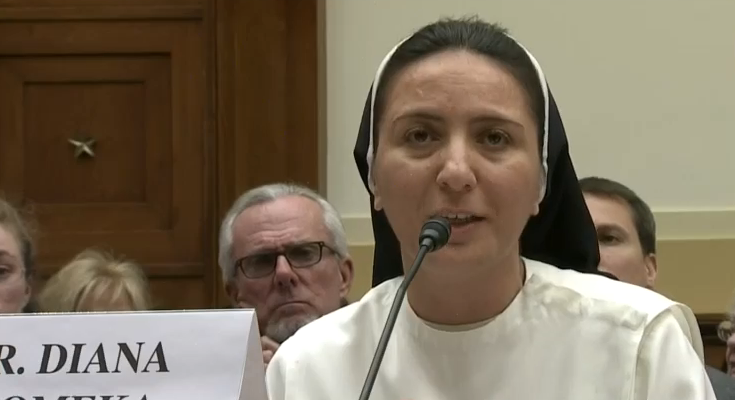 “I am confused about America… where I lived for 6 years…you take care of your pets so well…why don’t you take care of your Christian brothers and sisters?”It is vital for us to grasp what is happening. Sister Momeka was not just speaking before a board of Congress; she was sitting before the eyes and ears of the American people, sitting before the Church as a voice of the plight taking place against Christians in the Middle East. It is for us, as the Church to now respond. Hear the full interview, what else was said before Congress, how people are reacting in the Middle East, and so much more. Greg and John shared in this segment.